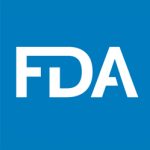 The U.S. Food and Drug Administration (FDA) Oncology Center of Excellence leverages the combined skills of regulatory scientists and reviewers with expertise in drugs, biologics and devices (including diagnostics). This Center of Excellence will help expedite the development of oncology and hematology medical products and support an integrated approach in the clinical evaluation of drugs, biologics and devices for the treatment of cancer. The OCE works with centers and offices across the FDA. Duke University is a private research university located in Durham, North Carolina and traces its origins to 1838. In addition to this campus, it has schools in Kunshan, China and Bangalore, India. It seeks to establish itself as a global university through which education, research and outreach are cultivated through networks of embedded and connected relationships and institutions across the globe. Duke is committed to providing a collegiate education with a truly global perspective. It empowers students to address critical human needs through immersive service, in the process transforming students, advancing the university’s educational mission, and providing meaningful assistance to communities in the U.S. and abroad. The American Association for Cancer Research (AACR) is the oldest and largest scientific organization in the world focused on every aspect of high-quality, innovative cancer research. Its reputation for scientific breadth and excellence attract the premier researchers in the field. The programs and services of the AACR foster the exchange of knowledge and new ideas among scientists dedicated to cancer research, provide training opportunities for the next generation of cancer researchers, and increase public understanding of cancer. The mission of the AACR is to prevent and cure cancer through research, education, communication, and collaboration. Through its programs and services, the AACR fosters research in cancer and related biomedical science; accelerates the dissemination of new research findings among scientists and others dedicated to the conquest of cancer; promotes science education and training; and advances the understanding of cancer etiology, prevention, diagnosis, and treatment throughout the world. 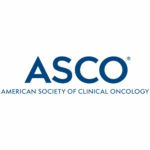 Founded in 1964, the American Society of Clinical Oncology (ASCO) is the world’s leading professional organization for physicians and oncology professionals caring for people with cancer. Its mission is to conquer cancer through research, education, and promotion of the highest quality patient care. ASCO’s diverse network of more than 40,000 oncology professionals recognizes ASCO’s dedication to provide the highest-quality resources in education, policy, the pioneering of clinical research, and. above all, advancing the care for patients with cancer. ASCO is unique in that we are the only organization that encompasses all oncology subspecialties, allowing our members to grow from the professional and personal expertise of their colleagues worldwide and across disciplines.